The flavours this time of year are my favourite! 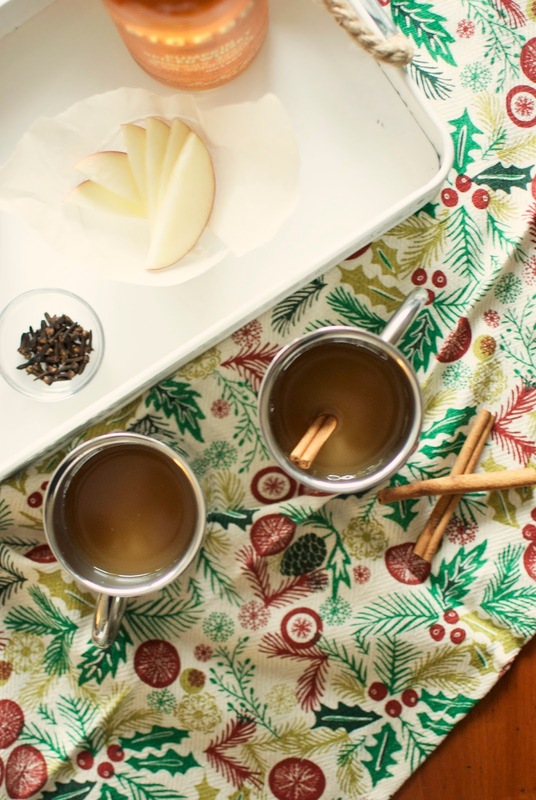 Although I recognize that you can enjoy a steaming cup of hot apple cider year round, I'd argue that it tastes different around the holidays. Maybe it's the memories, maybe I'm crazy, either way I have a strong appreciation for it right now. Well, around the holidays everyone likes a warm beverage, but add in some whisky and things start to get really festive! 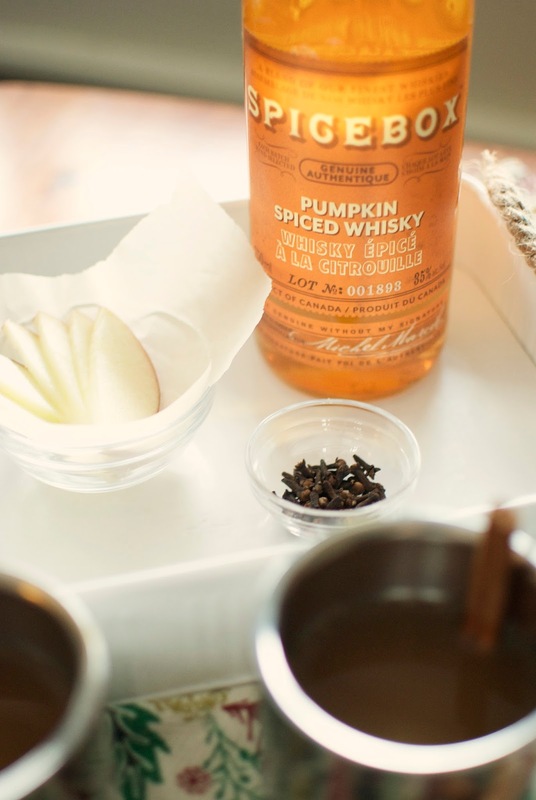 I first discovered this Spicebox Pumpkin Spiced Whisky around Halloween and immediately knew it would pair perfectly with an apple cocktail for the holidays. I'm the first to admit that I'm not a pro, but this tasted good enough to share! 1. 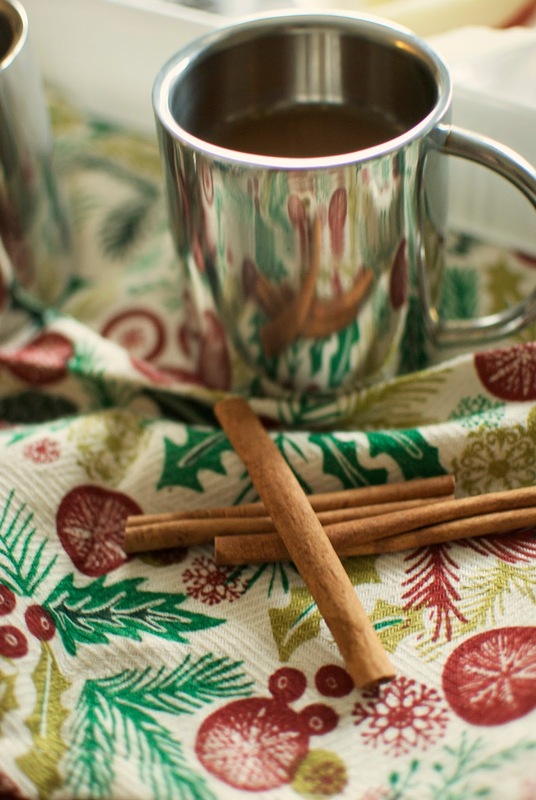 In a saucepan, add cider, cloves, and cinnamon sticks. Heat through until warm. Remove spices. 2. 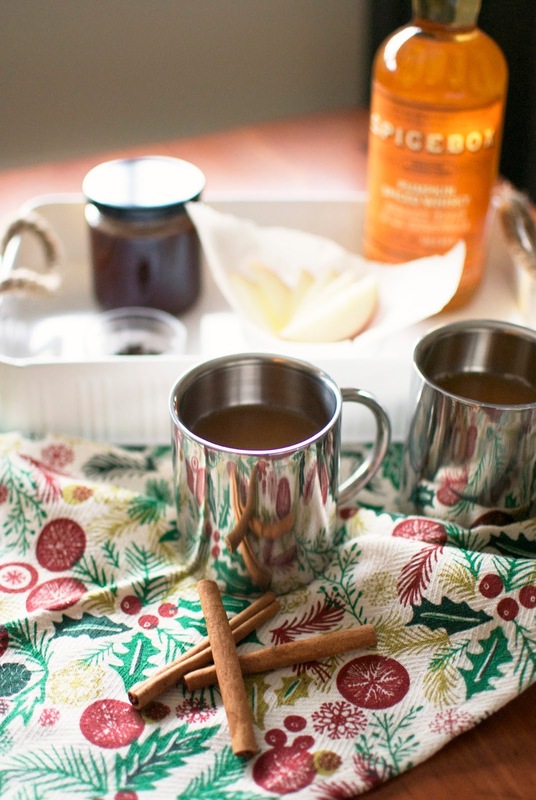 In your favourite heatproof mug, add 1 oz of whisky and hot cider. From personal experience, I'm confident saying that this is best enjoyed under a large, fluffy blanket by the lit Christmas tree with the one you love. Fireplace optional. Less than a month to go until Christmas! 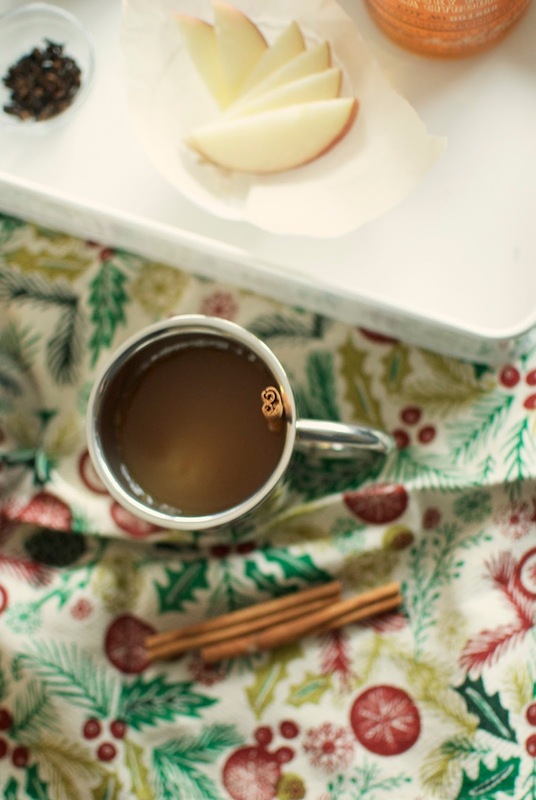 I hope your holiday plans are starting to fall together and you're getting into the spirit! Yum!! I'm one of Di's friends, too, in Colorado, and since we have 10" of snow so far, I wish I had this on hand! Sending Christmas greetings, also!